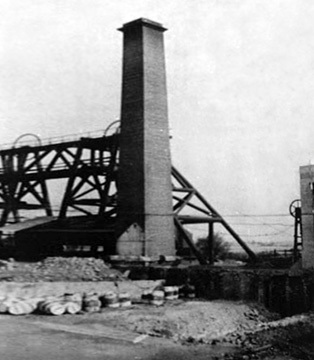 It started in 1963 when I was a boy of 16, my father (Robert William Fawcett) was transferred from Chilton Colliery in County Durham to Donnington Wood (Shropshire). I started at Madeley Wood in April 63 as a trainee, basic training was 13 weeks I think, it started as two or three days in the training school then after a week or so they took us down training shaft. 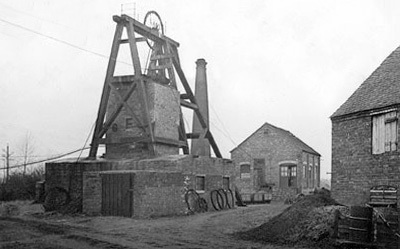 The training shaft was called Halesfield and was about half a mile or so away from the main shaft, I still remember getting my helmet and boots plus knee pads and I think I remember my lamp number (414). I worked at Madeley for eighteen months. I also remember what the coal faces were called, the top coal, the Vigus, and the Bestin Raddles, shortly after my father was transferred to the Granville. I returned to pits in 1967 when I worked at the Granville, I was 20 years old then so I was still a trainee, I was there for two years, then they sent me for my face training. I went to (Fenton) part of Stoke on Trent it was a mock face, they were good days. I also remember the numbers of the faces, 403s, 405s, 407s and just before I left they opened a new face a think it was 311s. I remember the names of the men driving the new headway Frank, Big Jim and a man called Hanslow. I left the Granville in 1970 about April, my father also left at the same time, we then moved back to Durham where I now live. I am sorry but no photos I enjoyed my time in mines, I made some good friends there.